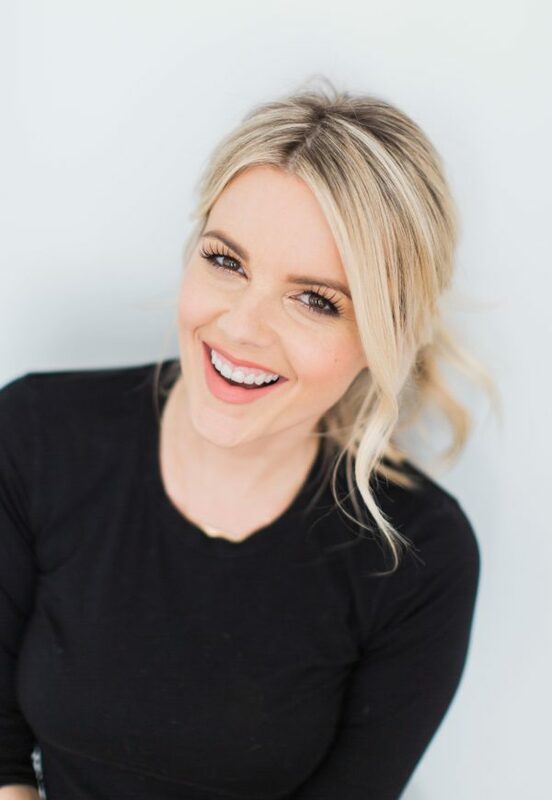 I’m so excited to be sharing the below video with all of you on my blog today. As you guys know, I work for Hallmark And when they asked me to team up with them to do this video with my mother-in-law Joanne I was honestly super grateful. Grateful not only that I was going to get to express what an incredible woman my mother-in-law is, but also grateful that Hallmark was giving me the chance to tell it to the world! Plus, I just really love the message of this entire campaign. I think we all sometimes think that we need to do some grand gesture to let someone know how much they mean to us. But really, at the end of the day, writing down your feelings in a card and putting how you feel about someone into words is really the most powerful thing you can do. I hope you guys take a minute to watch this video to learn more about the incredible woman that I get to call my mother-in-law. I cry every time I watch that video. I honestly don’t know how I would’ve gotten through the first month of being a mom to two kids under two without Joanne‘s help. I’m eternally grateful and it’s so special to have this video to remember that time. We filmed it when I was four weeks postpartum and now that I’m four months postpartum it’s only fitting that while I’m posting this Joanne is actually visiting us again from Chicago and helping us with the little ones. I was grateful for her back then and I’m grateful for her now. And I know this goes without saying but I also want to publicly acknowledge my own mother! She’s been there for us so much since the kiddos were born and she’s coming back out in a few weeks to help again! If she were in town when we filmed this video she would’ve been part of it too. I love her to pieces and I sent her a Hallmark card expressing how much she means to me too! So I hope this is encourages all of you today to let someone out there know how much they mean to you! Put it into words with a card! It will mean so much to them! And head on over to Hallmark, to see other touching stories from people (like Gabrielle Union!) 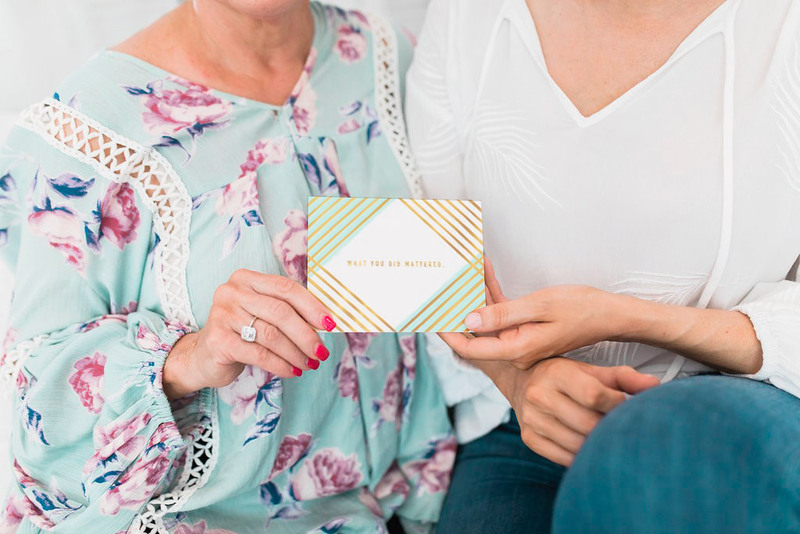 of how cards made an unexpected difference in someones life and you can enter for a chance to win free cards for a year and a $500 gift card to use on someone special in YOUR life! So check it out! So beautiful Ali abd what a great campaign. I’m a huge card writer so this is so brilliant. So beautiful the relationship you have with Kevin’s Mum and your mum. I love giving cards! Especially mailing them! Because I myself love getting them in the mail! Yep totally agree, love receiving cards as well! Thanks so much for the reply, Ali! PS. I hate that I missed the typo in my first message! Typo is my middle name! I am always trying to do so many things at once so I am the QUEEN of typos! It’s 8:01am here in S. Florida. This is the first website I normally open. You made me cry in that video. Oh my! I do not have a mother-in-law, and my Mom passed away last year… you made me miss my Mom so much more. But I realized I have two sisters who are very dear to me, though they are thousand miles away, for sure Hallmark card will be the best way to express my feelings for them. What a thoughtful way to show your MIL how special she is to you! I myself have been eternally blessed with an incredible one, and I could not imagine my life or marriage without her. Thanks for the reminder that our loved ones might like to be shown that every now and then❤️. Your babies are so lucky to have a shining example of class and love in their lives.